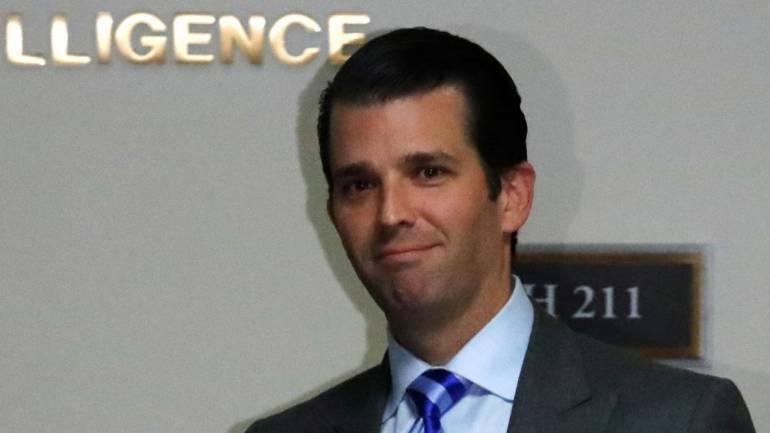 A business trip by Donald J Trump Jr, the son of the US president, this year to India cost the American tax payers about USD 100,000 in fees related to the Secret Service agents guarding him and other costs, according to a media report. In February this year, Donald J Trump Jr, 40, had travelled to four Indian cities, New Delhi, Mumbai, Pune and Kolkatta, to promote the high-rise luxurious condos being build by the Trump Organization, of which US president Donald Trump is the sole owner. Trump Jr is the vice president of his family owned company. The Washington Post reported on Thursday that it calculated this figure from the documents it obtained from the Department of Homeland through the Freedom of Information Act, which is similar to India’s Right to Information Act. The documents showed that “Trump Jr’s February trip cost more than USD 97,805 for hotel rooms, airfare, car rental and overtime for Secret Service agents,” the daily reported. “Donald Trump Jr went to India to promote condo sales. His trip cost taxpayers almost USD 100,000. That’s essentially the government spending money on the president’s private business,” Citizens for Ethics, a watch dog, alleged in a tweet. Because the president has not placed his assets in a blind trust, as other presidents have done, he still effectively controls his real estate empire and benefits from his children’s travels, Jordan Libowitz, communications director for the Washington-based watchdog group told the Washington Post. “The issue is that essentially the president still owns his businesses, and these trips are being done to make the president money. Essentially the government is spending money for the president’s private businesses,” Libowitz told the daily.